Will Barefaced (and Barebottomed) Sexism Win Ecko an Audience? Some chick sent us an email just dripping with faux indignation. It was all, "Have you seen this site? There hasn't been anything so demeaning to women in the history of the internet!" Don't be a tease, honey, just say it: DEAR ADRANTS, PLEASE WHORE ECKO MFG. And boy is it worthy. The job ECKO MFG tries accomplishing, with almost cheesy earnestness, is stirring drama over Ecko's "SEXIST!!!" manufacturing practices: bikini-clad women stitching jeans together. It could be The Stepford Sweatshop -- if Connecticut were ruled by frat boys and not WASPs. - Copyranter calls it quits. Again. Don't worry, he'll still be writing for Animal New York, and he's open to sponsorship. - Speaking of sponsorship, HBO whips out some wad for web celebs like lonelygirl15. The network is rounding up YouTube headliners for a web series called Hooking Up. Witness the lameness. - Degourget doesn't like Esquire's first-ever digital magazine cover, which was sponsored by the "ugly-assed Ford Flex." The price we pay for bells and whistles. - Clear Channel Radio hosted an event called Stripped, where artists play "stripped-down" versions of songs in a jammy "unplugged" setting. Why is this news? Because Miley Cyrus performed Girls Just Wanna Have Fun, that's why. Everything involving Miley Cyrus is news, especially when the headline reads "MILEY CYRUS STRIPPED." Engaging. Interactive. Immersive. Yup, they're overused buzzwords but they do a pretty good job describing this new Woo Agency-created work for Indamixx's and Samsung's DJ Fantasy, an example of the computer maker's vertical market applications for its mobile computer Q1 Ultra. The Q1 Ultra is a very cool looking portable computer which celebrity DJ Cut Chemist is endorsing. 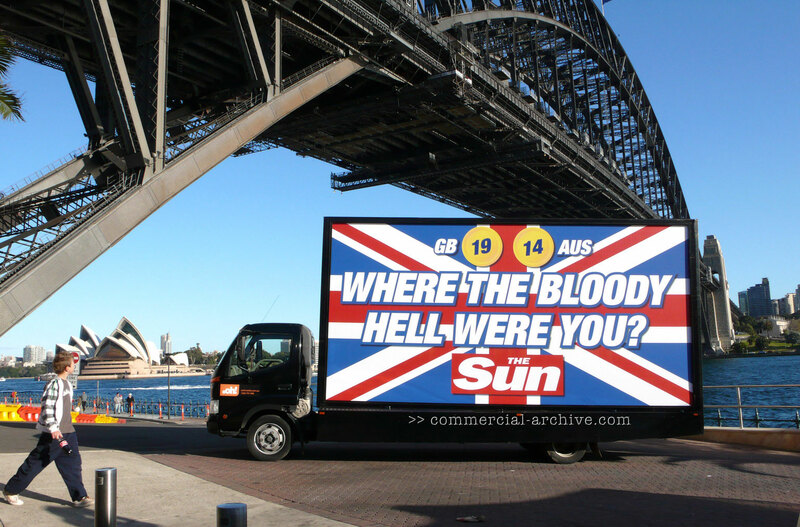 - The Sun slams Australia for winning fewer Olympic medals than Britain with a knock off Australia's tourism campaign, "Where the bloody hell were you?" - Classmates.com and NetZero have teamed to launch Free Internet, a site on which people can take advantage of free offers, coupons, discounts and other free stuff. - MySpace and TheWB.com, today announced a content partnership to bring the new digital series "Sorority Forever" - created by director/producer McG and the producers of the Internet series "Prom Queen" - from TheWB.com to MySpaceTV. For its Kirchner and the Berlin Street exhibition, MoMA worked with Behavior Design to put together an online "companion piece" where users can explore the art from their computers. 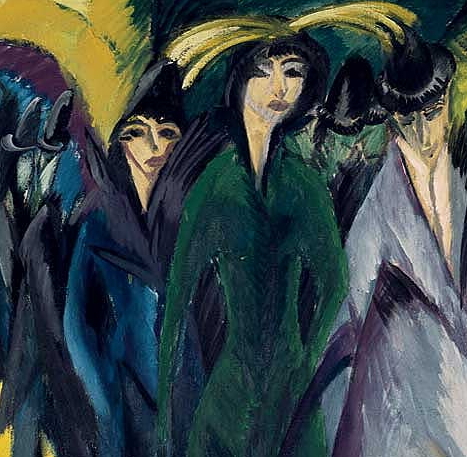 The exhibit showcases "Street Scenes," a series by expressionist painter Ernst Ludwig Kirchner. Visitors can sift through pages of his original sketchbooks in a smooth little image gallery. Art from "Street Scenes" can also be juxtaposed to the original drafts. To facilitate the all-online launch of Kit Kat Cookies & Cream (on the record: yuck), Nestle got into bed with JWT/Sydney and RMG Connect to conceive Hans Fagerlund, whom they describe as "a cross between Jack Black and Will Ferrell." Our little freak Hans is also a Chunga Champion, Chunga being the art of stacking Cookies and Cream Kit-Kats with his bare hands. Seriously. It's Jenga! With calories! He Wanted More Bling Than You Could Shake a Pheasant At. See How it Went Down. For a recently-launched TV campaign, Yell.com is seeding videos across YouTube that wrap up its TV ads. In the spot we reviewed, a bratty kid called Marcus tells party planner Fresno he wants a ghetto-fabulous fete instead of a Roman-themed party. Fresno takes on the challenge. Here are the results, complete with party footage and interviews with Fresno's assistant and Marcus's parents -- the feeble, well-to-do folk that created the monster in the first place. Nice idea, not super-engaging though. How do TV viewers know to go online to finish the story? It's not like the spot was a cliffhanger, and I don't think anybody feels personally invested in Marcus's fate. Or even Fresno's, for that matter. In June, Visa worked with AKQA to offer $100 in Facebook ad credits to the first 20,000 small business owners that downloaded its Visa app. 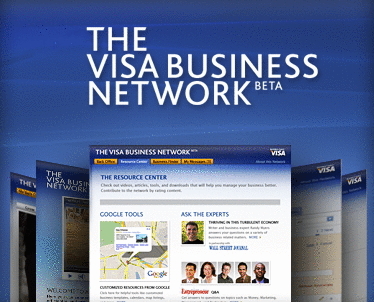 The app now boasts 42,543 monthly active users, but comments on the Visa Business Network page consist almost entirely of people that never received a coupon. Others are confused about whether the credits are just supposed to appear in their Facebook Ads cache. "I smell a scam," Johnny Premier says; Frank Horbelt shouts, "There's potential here ... (But you guys are squandering it!)" TubeMogul recently announced the launch of a new "dating site" for content producers and potential advertisers. It's called TubeMogul Marketplace and from its start, I see its value both as a marketer and as an avid content consumer. With an incredible amount of content on the Web, digital marketers tasked with identifying potential partnership opportunities can be quickly overwhelmed. TubeMogul's own video distribution service allows anyone with a video file and several online video accounts to plaster the Web with his/her content. The de facto decision often comes down to selecting between a few producers who are so well known that they naturally surface as contenders. Don't Just Be a Man; Be a Pretty Smart Shopper. Dual body wash and moisturizer isn't really a new idea. (Companies like Dove beat that horse dead years ago.) Bringing bang to an old combo, Wieden + Kennedy enlist a centaur for Old Spice Double Impact. He's half man ... and half provider. More importantly, he's actually got YouTube users talking about Old Spice. Will they buy the stuff? Hard to say. But hey, if a centaur doesn't turn this trick, Doogie Howser, M.D. definitely will.